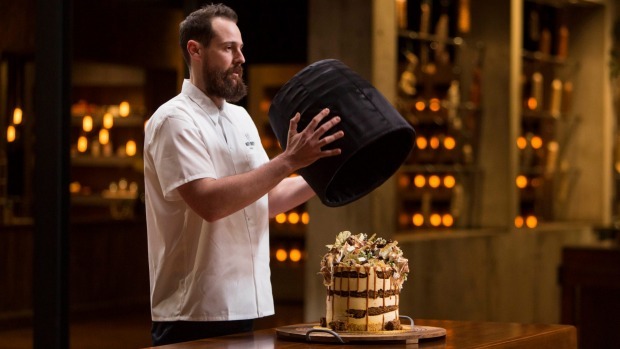 Watch Andrew Bowden create his signature layer cake that stars on the MasterChef pressure test. 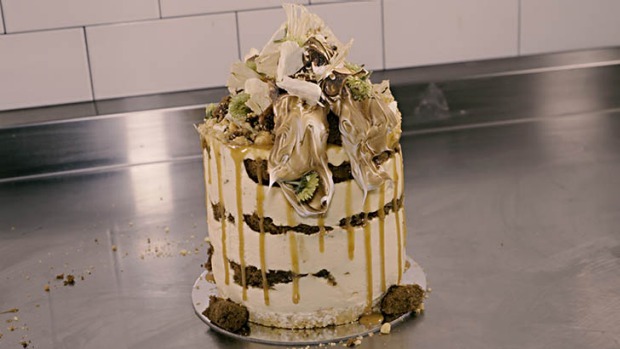 Cult Sydney pastry chef Andrew Bowden aka Andy Bowdy shares how to assemble his 'Rita' layer cake. 'Rita' features passionfruit bavarois, ginger cake, caramelised pineapple, salted bourbon caramel, toasted coconut cream, coconut chew, brown sugar pecans, ginger crumb, and of course, a mohawk of Bowden's signature torched meringue. Miniature versions of Bowden's blockbuster cakes decorated with cascading meringue are available at his Enmore cafe, Saga. Monday night's MasterChef Australia pressure test episode featured this cake on TEN.